Put two 1/1 white Spirit creature tokens with flying onto the battlefield. You gain 2 life. Phalanx Leader is an awesome go-wide strategist. Having a high creature count is how I've found to abuse him. These are some of the token cards that I run in my PEDH. Keeping up with the token theme you could always try adding in Spectral Reserves, Phantom General, or even Rootborn Defenses. First of all I want to say that I read your description, so I know you are not trying to make a killer deck out of the bat. I'm going to give you some suggestions, I understand some might be a bit over your budget (even though I'll try and keep the more expensive cards only around a couple bucks) and some might not be as interesting for you considering your specific playgroup and your goal with the deck, but since EDH is the perfect format to develop a deck during longer periods of time, and I strongly encourage everyone who plays to do so in order to create an healthy and dynamic playgroup, I'm going to suggest some changes that will improve both on the power level and consistency of your deck. About your deck now, I'll list the changes I'd make and try to explain why so you can pick and choose when you start making replacements. You want your plays and reanimations to be more than vannilla creatures, doesn't matter if they make themselves larger if they are easilly blocked and killed, and definitely, if you are running cards over 2 power which are not targets for Alesha, they must enable something game ending, otherwise you are taking consistency out from your deck and not gaining anything in return. As for noncreature spells I'd take out: Asha's Favor, Berserkers' Onslaught, Blue Ward, Fear, Messenger's Speed, Protective Sphere, Skeletal Grimace, Demystify, Dragonrage (this is kinda okay with double strike, but still, much better options), Harsh Sustenance, Pay No Heed, Profit / Loss, Showstopper, Tenacity, Uncaged Fury, Uncanny Speed, War Flare, Wing Shards (You have no reasonable way to enable storm, so for 3 mana there are numerous better removal options), Coercion (it's one use only. In a multiplayer game you can't possibly gain advantage from picking one card from one opponent in 99% of situations), Kytheon's Tactics, Spectral Reserves and Terashi's Grasp. I'd take almost all of those auras and instants/sorceries because in my experience Alesha isn't suited for that. 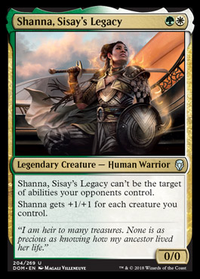 She is perfect for a toolbox commander, so you should enforce that and play effects like destroying enchantments, on creatures that you can recurr as you need them instead of on one spell that can be used once. Again, this is relevant because Alesha can use creatures over and over, but not noncreature spells. In decks like Dralnu and such, it would be the other way around. 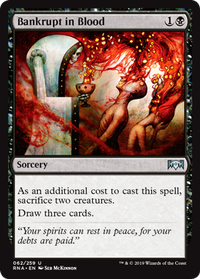 As for ways to pump your creatures, again, it's a one trick pony and then your opponents will be able to block or remove your threat's easilly. Double strike definitely is not the best option, since Alesha likes small creatures, and double strike on small creatures is underwhelming. The trick is to manage a way to keep the board under control, and win little by little or comboing off with something. I won't change the land base because that's where most money is usually spent and I avoid that as well. Command Tower, Vivid Marsh and Vivid Crag are solid and not very expensive, but again, I don't usually feel the need to improve that much on mana base. But if you feel you are playing this deck for a long time, I'd recommend you pick up a Chromatic Lantern soon. It's insanely important, since Alesha is , and her ability costs so sometimes getting the colours you need for both soon in the game might be harsh. The lantern just saw a reprint so it's lower on price now than it's ever gonna be for a long time after. Let's take the more expensive ones out of the way: Reconnaissance (is key to keep attacking with Alesha for her ability even when your opponents have shields up), Cathars' Crusade (this is the way I usually win) and Anafenza, Kin-Tree Spirit (in a smaller scale, but also good to make creatures bigger and enables one of the easiest combos available too). I believe these are slightly over your budget, but they definitely pull more than their weight. I'd run these no matter what, but Cathars' Crusade is the one that I can't stress enough for you to try out. Tormenting Voice, Faithless Looting and Key to the City give you ways to fill your graveyard, and card advantage. 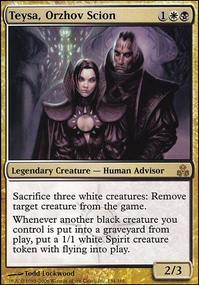 Nekrataal, War Priest of Thune, Ingot Chewer (and slightly more expensive Big Game Hunter) are those creatures I recommended for you to run and recurr with Alesha for the effects you had on noncreature spells. Zulaport Cutthroat and Falkenrath Noble will give you value when your small creatures die. Brutal Hordechief gains you life as well, and lets you choose blockers as you please, most times it's relevant to push through lethal damage and people don't notice that until it's too late. Goblin Bombardment will let you shoot something in response to your creatures getting killed. Behind the Scenes and Whispersilk Cloak will give evasion to your creatures. If you really want haste, I'd go with Swiftfoot Boots and Hammer of Purphoros instead of those auras you run. Sol Ring is a must include in every EDH deck and is cheap as it has ever been right now, Rakdos Signet, Boros Signet and Orzhov Signet are very relevant ways to ramp and fix your mana a bit, while Burnished Hart gets lands of your deck at an impressive rate. And finally these aren't in my deck, but I believe should be in yours: Ichorclaw Myr, Core Prowler, Septic Rats, Ichor Rats and Whispering Specter. You should have more than a couple infect creatures to ensure you can finish someone once you start hitting with infect damage. I hope this was of help, it's really cool you are making a deck out of scraps, per say, so you can easilly bring new players in, that's something admirable, since most times the biggest barrier to new players is the intricate play levels of their potential playgroups. I usually lend my decks to new players until they feel comfortable enough with the format to build their own, but that kind of approach making almost a "limited" EDH deck is pretty cool and perfect to help new players improve. As I said, EDH is perfect to improve deckbuilding in time, so that's an awesome way to kick it off! I would suggest dropping the Chaplain's Blessing and the Spectral Reserves. The lifegain is only temporary, so it's not really worth it. 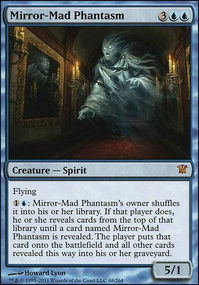 I would put in more Kessig Prowler Flip to help offset this, Hermit of the Natterknolls Flip to help smooth out your mana curve, Shrill Howler Flip is also a decent cheap buy for the midrange.